I have a cream Bengal cotton saree, woven with red border. I found a red checked in mangalagiri cotton, for blouse. 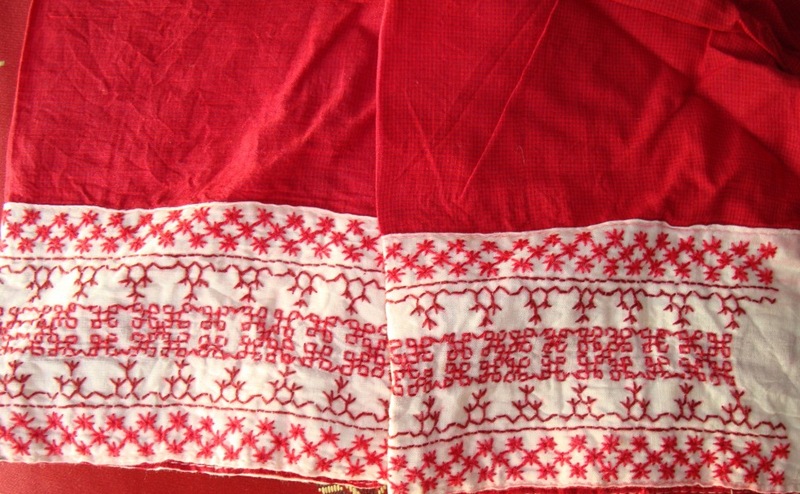 For this set , the idea was to work kasooti embroidery border on cream cloth in red colour and attach it to the sleeves of the[ red] blouse, to match with the saree .
. Three borders were chosen and were drawn together on graph paper. Being a light colour, the tracing was done with red carbon. I traced the pattern on to the cream cloth, and had the blouse sewn, then started the embroidery.